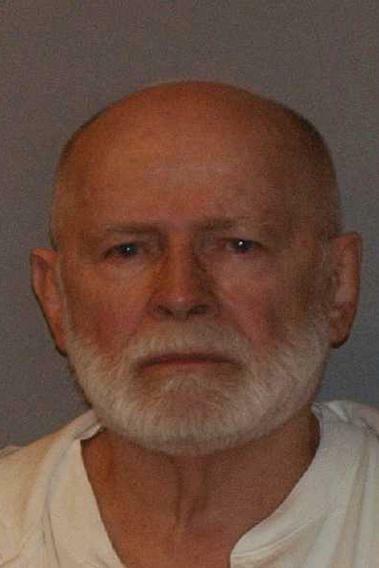 Whitey Bulger trial: The two things the master criminal wants the jury to understand. The two things the master criminal wants the jury to understand. As testimony begins in the Whitey Bulger trial on Wednesday, the jury sees some ghostly video footage of Whitey taken back in 1980. From the vantage of a camera hidden behind the window curtains of a stakeout apartment, they watch Whitey—then 50 years old, trim and fit, receding hair slicked back—hold court with other gangsters. He stands ramrod straight, hands on hips. His jeans are tight, his snug T-shirt tucked beneath a prominent belt buckle. Each time I’ve glimpsed Whitey over the past few days, he has been completely still, his lips a thin, straight line. His posture speaks of discipline, of patience, of years confined in tiny jail cells. He remains a surprisingly intimidating presence. But these days it’s a presence more akin to that of a stern high school principal—the kind of elderly man you might see frowning over the Herald metro section in your local Dunkies. In this morning’s opening argument, lead defense attorney Jay Carney explains that Whitey was never really a man to fear. Sure, there was a little loan-sharking. A dash of drug trafficking. A bit of bookmaking—just “selling some football cards,” in Carney’s words. But a dangerous fugitive? Please. Carney will not brook this accusation. When Whitey went on the lam for 16 years—during which time he was on the FBI’s Ten Most Wanted Fugitives list—he had simply “settled in California.” The same way Saddam Hussein settled in that spider hole outside Tikrit. Whitey was “not hiding” and was “living openly, in plain sight.” Using an alias. With guns and cash stowed in his walls. You know, like any other harmless retiree. 1) Whitey ain’t no rat. Despite mounds of evidence that he spent years gabbing to the FBI, “James Bulger was never, ever an informant,” claims Carney. How can we be certain? As Carney explains, “James Bulger is of Irish descent, and the worst thing an Irish person could do was become an informant.” Good enough for me! Let’s move on. Erin go bragh. In honesty, I think there’s a kernel of truth to this. It’s clear that Whitey provided the FBI with tips to bring down his enemies and thus has no claim to being completely nonrodential. But the relationship went both ways. Whitey was bribing those Boston FBI agents to keep them out of his beeswax. More than any info he passed on, it was those bribes (plus a bromance with his Southie-bred FBI handler, John Connolly) that helped Whitey get away with murder. What’s hilarious here is that, as best I can tell, none of this matters to the case at hand. Whether Whitey was an informant or only a quasi-informant, has basically zero bearing on his guilt or innocence. Why bother to bring it up in opening arguments? Darn it, he refuses to be called a rat! And he’s gonna use a whole lot of federal court time to make his case. It’s a little like O.J. spending his entire murder trial attempting to prove he deserved an Oscar for The Naked Gun. 2) Whitey doesn’t kill chicks. Prosecutor Brian Kelly, in his opening statement, describes in vivid detail the murders of several men that Whitey’s accused of offing. Kelly paints intense word portraits—Whitey using thick rope to strangle a guy in a basement or pockmarking a phone booth with machine-gun bullets as his enemy twitched within. When defense attorney Carney stands up to take his turn, he hardly bothers to refute this. The only alleged killings he takes issue with are those of women: Debra Davis (the girlfriend of Whitey’s associate Stephen “The Rifleman” Flemmi) and Deborah Hussey (Flemmi’s stepdaughter). It sounds like Whitey will mount a halfhearted defense against all the other carnage he’s been tagged with. But what he really needs you to know is that he didn’t hurt ladies. What kind of guy do you think he is? So this trial will proceed on dual tracks. The prosecution will methodically lay out evidence of money laundering, extortion, firearms possession, drug distribution, and murder. Meanwhile, Whitey will plead innocent to charges of ratitude and uncouth lady-killing. For Whitey it’s all a big show. He’ll do it his way—forever sticking it to the man, wearing jeans instead of a respectful suit, using his allotted rights to settle a few old scores. At the close of his statement, prosecutor Kelly shows the courtroom a series of photos, one after another, of the 19 people Whitey is accused of murdering. Al Notarangeli in a fedora. Michael Donahue looking drunk and happy in a tux. John McIntyre on a dock. Debra Davis with her beautiful smile and her Farrah Fawcett hair. Whitey will use his day in court to argue whatever he sees fit. For the rest of us, the photos are a reminder of what’s at stake.